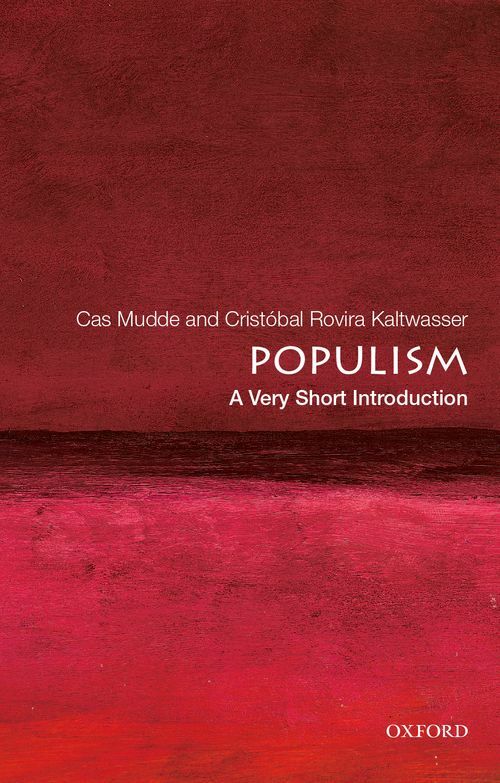 Cas Mudde and Cristóbal Rovera Kaltwasser present populism as an ideology that divides society into two antagonistic camps, the "pure people" versus the "corrupt elite," and that privileges the general will of the people above all else. They illustrate the practical power of this ideology through a survey of representative populist movements of the modern era: European right-wing parties, left-wing presidents in Latin America, and the Tea Party movement in the United States. The authors delve into the ambivalent personalities of charismatic populist leaders such as Juan Domingo Péron, H. Ross Perot, Jean-Marie le Pen, Silvio Berlusconi, and Hugo Chávez. If the strong male leader embodies the mainstream form of populism, many resolute women, such as Eva Péron, Pauline Hanson, and Sarah Palin, have also succeeded in building a populist status, often by exploiting gendered notions of society. Cristóbal Rovira Kaltwasser is Associate Professor of Political Science at the Diego Portales University's School of Political Science in Chile. He is the co-author of Populism in Europe and the Americas: Threat or Corrective for Democracy? ; Cas Mudde is Associate Professor of International Affairs at the University of Georgia. He is the author of Populist Radical Right Parties in Europe and co-author of Populism in Europe and the Americas: Threat or Corrective for Democracy?.